The Telefunken Elektroakustik M60 Master Stereo set is "the whole nine yards" of the M60 cardioid stereo set, providing everything needed for omni, cardioid, and hypercardioid miking requirements. Again, perfect compatibility with pianos, acoustic guitars, violas and other stringed instruments, drum overheads, orchestral recording, and ambient room recording-- of course with the expanded capsule complement, there are no limits to results and creativity! 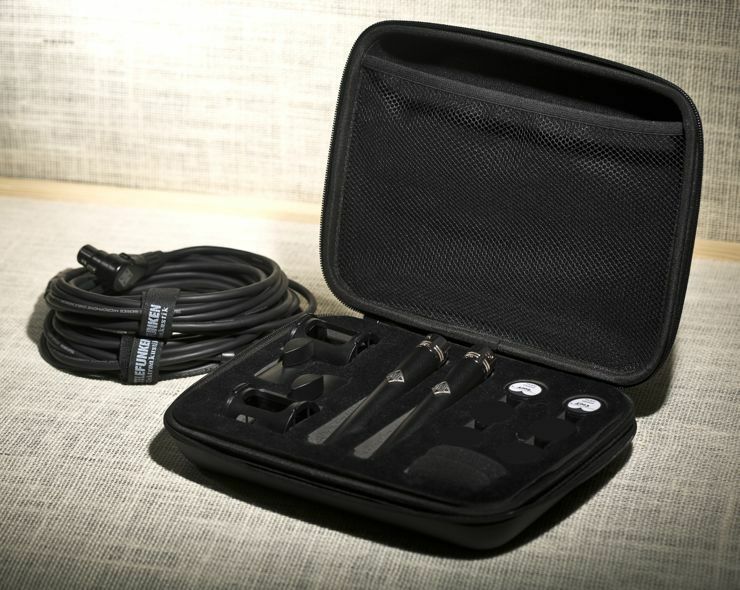 The Telefunken Elektroakustik M60 Master Stereo set includes: two M60 mic bodies, two cardioid capsule heads, two omni capsule heads, two hypercardioid capsule heads, two cables, two stand mounts, and zip storage case.